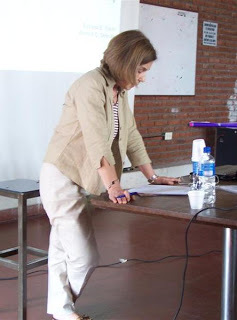 Argentina TESOL is proud to announce that Susana B. Tuero’s presentation at ARTESOL Convention 2014 was selected by TESOL International as a Best of Affiliates session to be presented at the TESOL 2015 International Convention and English Language Expo in Toronto, Canada, 25-28 March 2015. Each year eight TESOL affiliates present sessions at TESOL Convention. These sessions are submitted as the best session from over 100 affiliate conferences. TESOL International is responsible for the selection of the eight BEST sessions. Click here to learn more about the Best of Affiliate sessions selected. An accepted general belief is that the process of comprehension is enhanced when information is presented simultaneously in different modalities. The rational is that if the same information is provided in more than one way (image and text, spoken and written), students will have more exposure to the material, and will be able to choose the modality that best suits their learning style. Based on this information delivery hypothesis, EFL teachers usually present the same material in more than one format. The assumption is that comprehension will improve. However, results from research in the area of cognition indicate that when the same information is presented simultaneously in different formats, the processes of comprehension, retention, and transfer are often hindered. This results from what is referred to as the redundancy effect. Presenting the same information in different modalities imposes such a load on the learners’ cognitive system that their performance is negatively affected. 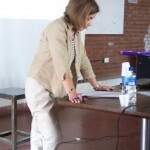 The purpose of this talk is to present the design of a research study carried out to investigate the effects that dual presentations had on EFL learners’ reading comprehension. Findings will be presented and their pedagogical implications discussed.